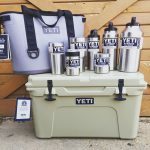 Ark Country Store has a large variety of different Yeti products available our customers in the Waxahachie/Midlothian area. Learn more about the products we have available below. 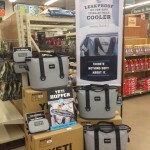 We carry all sizes of Yeti Coolers and Hoppers and they are all available for you to purchase from Ark Country Store! We have the Yeti Hopper available in Fog Gray/Tahoe Blue as well as the new Field Tan color. This product will keep your drinks cold for hours. 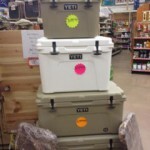 As for the Yeti Coolers, we carry a large variety of different cooler sizes and types. Yeti Coolers keep your ice and drinks cold for hours while you’re enjoying camping, fishing or just hanging out with friends. Ark Country Store is also has all of the Yeti Drinkware available for purchase! Stop by our store and pick up the popular Yeti Rambler in a variety of sizes. The Yeti Rambler keeps your drink as hot or as cold as you would like. 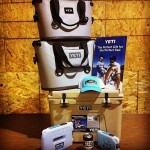 Want something else from Yeti? 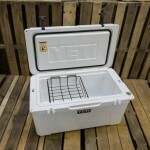 We have the Yeti Lowball available for purchase as well. The Yeti Lowball is a smaller option that continues to keep your drink hot or cold. The Yeti Colster is another Yeti drinkware product available for purchase. The Colster insulates your canned drinks, while keeping your hand comfortable. 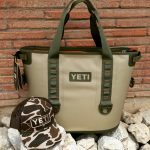 Yeti Apparel and Accessories are also a must! 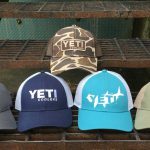 Check out the many Yeti hats, shirts and other accessories we have available for purchase at our store. Support Yeti by stopping by one of our stores to pick up one of these items to wear. 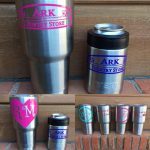 Did you know Ark Country Store can provide skins or mongrams for your Yeti gear? Stop by one of our stores and check out how you can a Yeti product even more unique. If you have any questions about the Yeti Coolers and other products we have available for purchase, please contact us via phone or email. Also, you can stop by one of our two store locations to ask questions or purchase your Yeti gear.